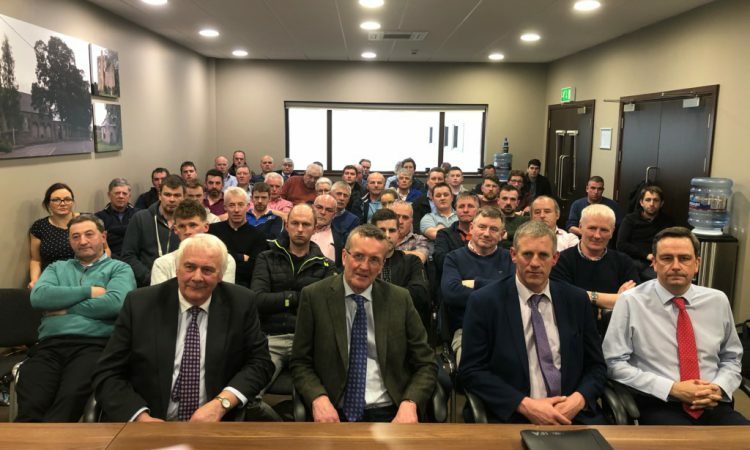 Pig farmers from across the country met in the Barack Obama Plaza, Moneygall, Co. Offaly, tonight, Monday, April 8, to voice their frustration at the continued Irish price lag behind European pig prices. It was outlined at the meeting that world pig production is down 6% – 7% as a result of the global spread of African Swine Fever (ASF). 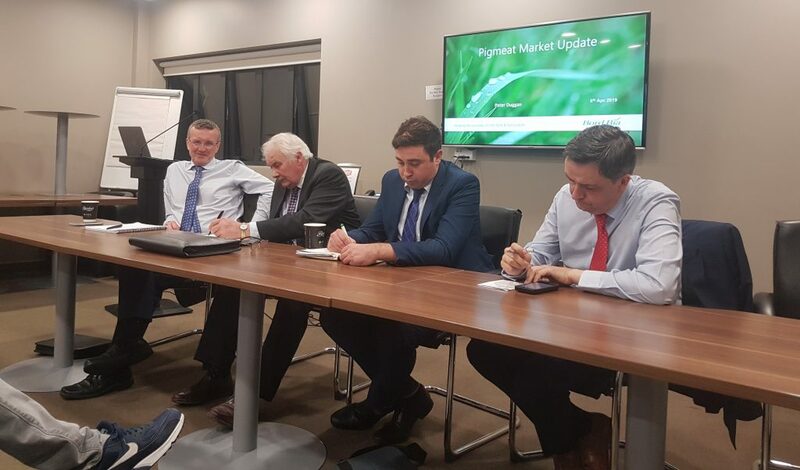 The meeting was hosted by the Irish Farmers’ Association (IFA) and was chaired by the chairman of the IFA’s Pig Committee, Tom Hogan. 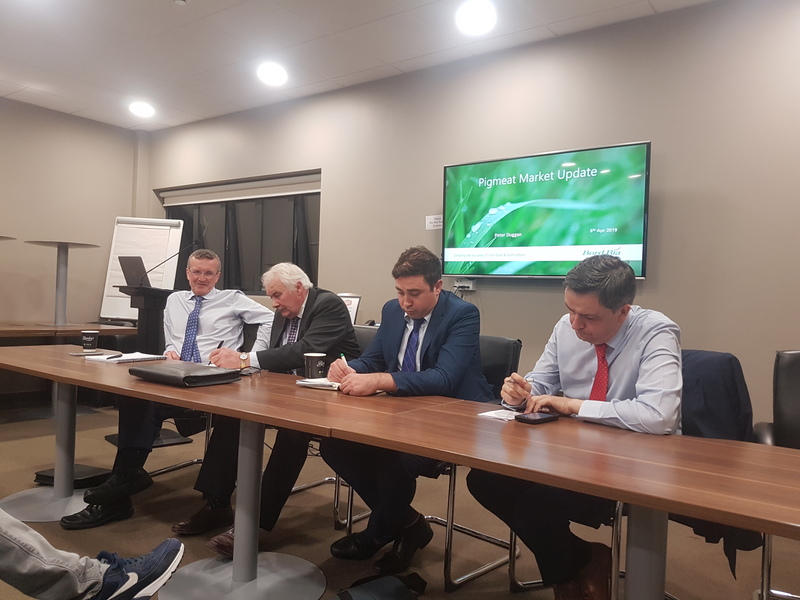 Also at the event was: The IFA’s director general, Damien McDonald; the IFA’s treasurer and pig farmer, Tim Cullinane and Bord Bia’s Peter Duggan. 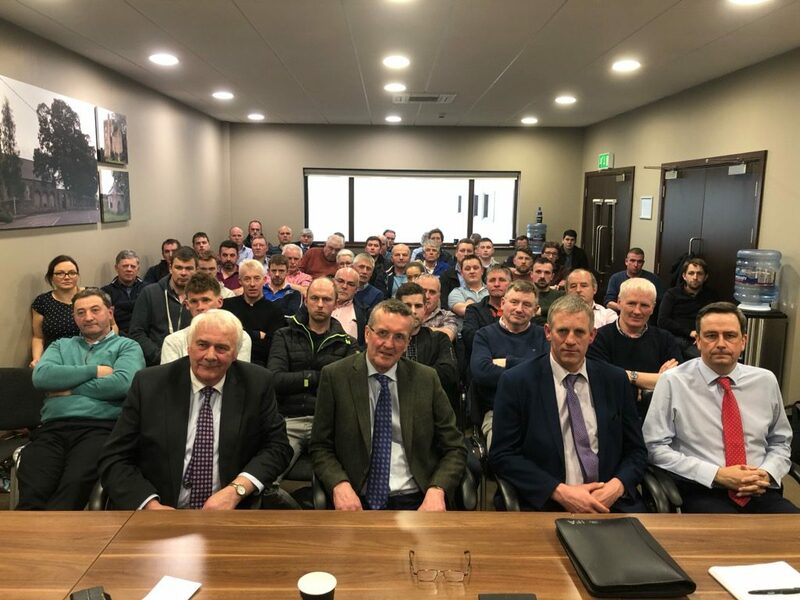 It was outlined during the meeting that all Irish pig processors were invited to the meeting but none attended. Addressing the crowd, Cullinane said what has happened global pig production “has never happened any sector before”. 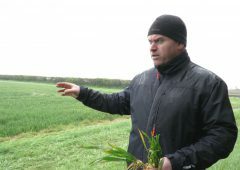 He noted the severity of the situation saying: “In Ireland, we’re down to below 300 pig farmers left in the country now. This is fighting for survival. “The factories need to realise that if they want us to survive going forward, we need to get paid for what we do. We needn’t be shy about getting pig price up to €2.00/kg. It was outlined by a speaker from the floor that processors are telling farmers that the forward selling of pig meat is the reason farmers are not seeing immediate price rises. 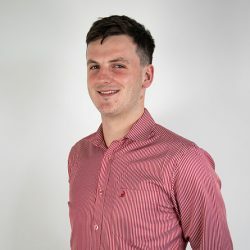 Hogan outlined that there is “possibly” a case for pig-producer groups and added that in many other EU countries, farmers sell their pigs collectively. 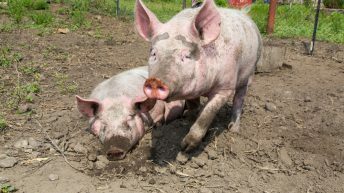 It was suggested by one pig farmer that while it may not be feasible for pig farmers to hold pigs back entirely from the factory; a percentage of each farmers’ pigs could be held back each week and, in doing so, restrict supply. Another speaker from the floor told the meeting that “the Bord Bia logo has been hijacked” and added that “while farmers sending pigs for processing in Northern Ireland pay the full subscription, they do not get the full logo on their produce”. 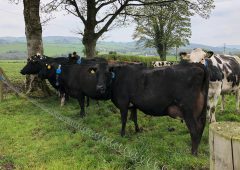 Speaking ahead of the event, Monaghan IFA chairman and pig farmer Frank Brady said: “We’re still below break-even and unless something changes a lot of pig farmers are going to be in serious trouble.